An intimate, contemporary resort, its design blends seamlessly with its environment. 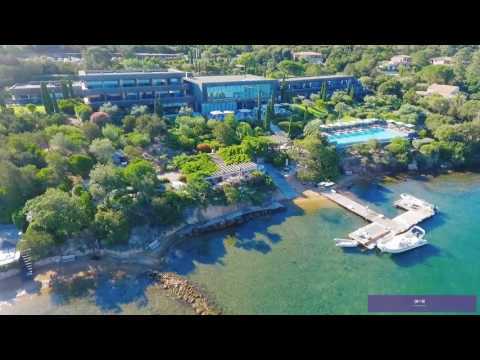 Sleek, striking, and filled with natural light, Hotel Casadelmar is located on a peninsula just outside the town of Porto-Vecchio on the southwest coastline of Corsica, overlooking the Mediterranean. An intimate, contemporary resort, its design blends seamlessly with its environment. Surrounded by well-tended gardens, the hotel offers rooms with clean, uncluttered lines, accented by oversize windows, stone floors, and brightly colored fabrics that reflect both the calm and liveliness of the Corsican lifestyle. Each accommodation also boasts an outdoor terrace with sunbeds, and sweeping sea views. Renowned Italian Chef Fabio Bragagnolo combines simple, authentic local ingredients to produce dishes of unparalleled flavor. Nestled in the south-facing grounds in the Bay of Porto-Vecchio, Casadelmar welcomes its guests on its secret solarium. Dedicated to relaxation and beauty Spa by ESPA offers a large selection of treatments but also sauna, Hammam, sensory shower, fitness room and hair-dressing.